Aero Express is an Authorized Distributor of Avionics Specialists (ASI) for the ASI-185 Test Panel. The ASI-185 ADF Test Panel provides a means to test, align, and repair the Collins ADF-60 and ADF-462, Testing of the ADF-462. 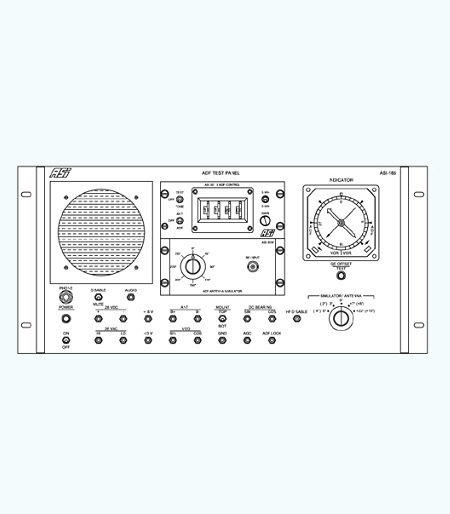 Testing of the ADF-462 also requires the optional ASI-135 test panel. Interconnection of the unit under test is provided by the pendant cable.